With Star Wars: Episode VII expected to go into production in May, it’s only a matter of time before we start to hear official casting from Disney and Lucasfilm. While there are loads of rumors floating around, it’s unclear what is fact and fiction. Some of the choices would be great choices for the movie, but there are only so many leading roles to go around. And now you can strike one name off your Star Wars: Episode VII casting bingo card. There is no truth in that — Jack is not taking on a role in the latest Star Wars film… He has not been approached about a role and there has been no discussion… The rumours started online, but there is no foundation to them. There you have it. 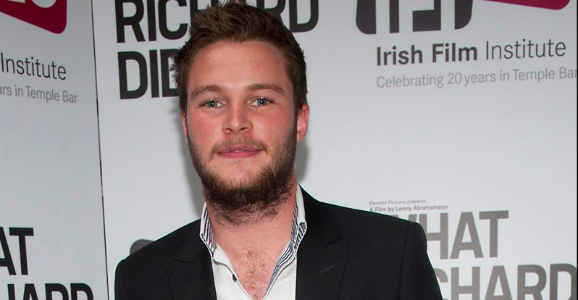 It sounds very definitive that Jack Reynor will not be in Star Wars: Episode VII. He does, however, star in the upcoming Transformers: Age of Extinction, which open this June, so regardless of whether or not he’ll appear in the Star Wars universe, Reynor will have a good start to his American action career. Considering that he’s a virtually unknown actor in the United States, starring in a new Michael Bay movie is a big win. Meanwhile, there are still a bunch of names being thrown around for Episode VII, including Gary Oldman, Michael B. Jordan, Jesse Plemons, Daniel Day-Lewis, Chiwetel Ejiofor, Alex Pettyfer, and Jack O’Connell. According to a few reports, Kathleen Kennedy and J.J. Abrams have settled on the film’s principal cast, but they have yet to announce their choices. As for Episode VII’s production, Den of Geek is reporting that the prop shop at Pinewood Studios are currently assembling a full scale 1:1 Millennium Falcon set and other Star Wars related props, such as lightsaber hilts. The report also suggests that Lucasfilm has offered the model makers and production team seven-year contracts. These contracts are rumored to cover the production on three sequel films and three spin-offs. Lucasfilm is investing heavily in London, as the production company recently opened an Industrial Light & Magic office in the United Kingdom. Furthermore, the site claims that Disney and Lucasfilm are interested in shooting Indiana Jones 5 at Pinewood Studios sometime in the future. Lastly, Dorkly.com made an 8-bit video featuring the tail end of Revenge of the Sith. At the very end of the movie, a young Obi-Wan Kenobi hands off baby Luke Skywalker to his adoptive Uncle Owen and Aunt Beru. Instead of staring off into the twin sun set, Owen points out why it’s a bad idea to hide Luke Skywalker on his father’s home planet and refusing to change his name like his twin sister Princess Leia Organa. Of course, when Lucas made the first Star Wars movie, he had no idea that it would turn into a successful film franchise that would span almost 40 years. While the Star Wars Saga is far from perfect, George Lucas did his best to retcon the original film, but I guess he didn’t do a good enough job for some people out there. Star Wars: Episode VII hits theaters everywhere on December 18, 2015.